Hi! I made your Chickpea Enchiladas topped with your MVC Sour Cream for dinner last night and my family loved it! Honestly… this dish is pure comfort food. These enchiladas are savory, satisfying and delicious! It reminds me of a creamy chicken enchilada casserole I used to make years ago, which I miss making since eliminating meat from my diet. 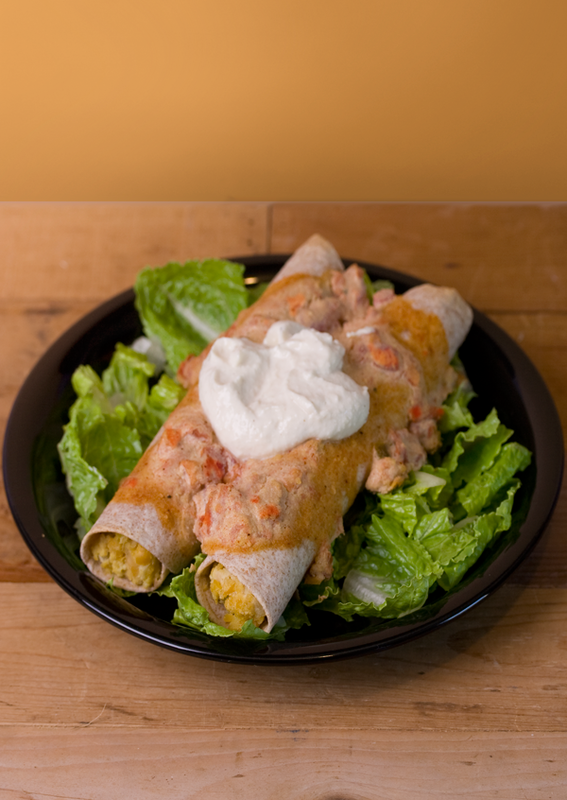 The cheezy sauce on top of the enchiladas is so tasty, I am thinking of ways to incorporate it into different recipes. Your MVC Sour Cream recipe is awesome as well… it has a fresh tangy taste like dairy sour cream, but is lighter and even more flavorful. I can’t thank you enough for these fantastic recipes and I look forward to making more soon!